With all the advances in the field of medicine, people are now living longer than ever before. Being conscious about what we eat, drink and the environments in which we live are key to enjoying a healthy, more fulfilling life. And when we incorporate a physical fitness regime into the equation, our quality of life knows no boundaries. And that’s where the owners/professional trainers Jennifer Crook and Yvon Cormier of Oceanside Fitness and Tanning in Shediac, NB, come in to the picture, by helping their members become physically fit so they can enjoy an optimal life. 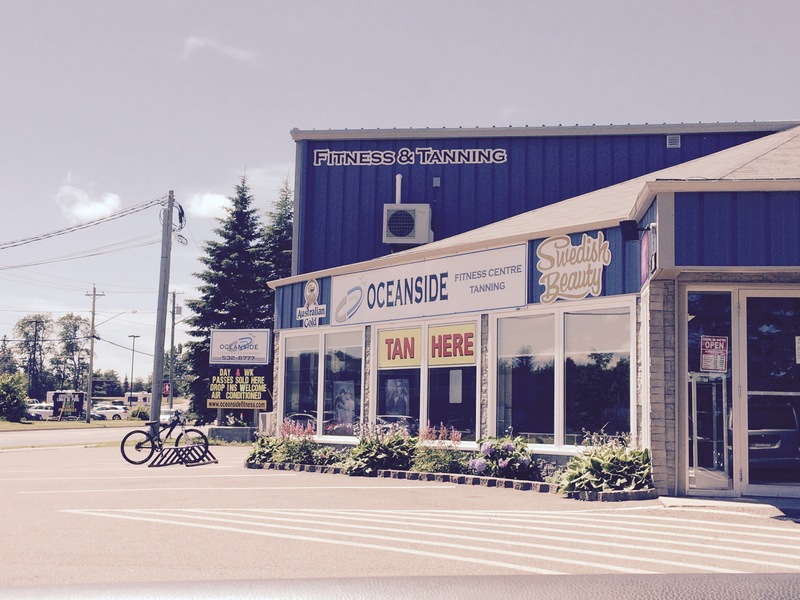 Located at 184 Main Street, Shediac, Oceanside Fitness and Tanning offer more than just barbells and treadmills. They’ve branched out and are providing Beginner and Advanced Spin Classes, (group exercise classes on stationary bikes set to heart-pumping music), Women’s Work-out Classes (participants work at their own pace), as well as Muscle Toning, Zumba, and Power and Gentle Yoga classes – whatever suits the clients preferences in getting toned and healthy. They also try to accommodate as many different client schedules by being open Monday – Thursday, 5:30 am – 10:00 pm, Friday’s from 5:30 am – 9:00 pm, Saturday’s from 7:00 am -7:00 pm, and Sunday’s from 8:00 am to 8:00 pm, 365 days a year. Offering a full gym complete with 25 pieces of cardio equipment (with individual TV’s on all treadmills and elliptical), an Infrared (dry) sauna for personal use in a separate room off the change rooms, as well as TZone vibration machines (new methods of toning without enduring a full work out) and personalized training round off the full set of services offered at this fabulous facility. “The CBDC Westmorland Albert was critical to us when we started our business,” says Jennifer. “Our business plan was not well received by traditional banks, irrespective of our long history of success with gyms, or our own great levels of personal credit and reputation. So in order for us to get started, the CBDC provided critical funding and a lot of personal support as well. I’m happy to say that by working with these great people, our stress levels went way down. During our initial year in business, we had some cash flow challenges and they helped us work through them. We always felt like they believed in us – that we could succeed in our business and as entrepreneur’s that support was, and is, truly appreciated!” They both state that they’re looking forward to continuing to build on the excellent relationship they enjoy with the CBDC Westmorland Albert, and have big plans for the future. Jennifer and Yvon say they are most happy when they see people who come into their facility to get their health back on track. After a couple of months, these clients are thinner, fitter, healthier and happier than they’ve ever been. That’s a constant daily reminder that exercise does play a positive benefit in enriching a person’s life, and frankly, who could ask for anything more?